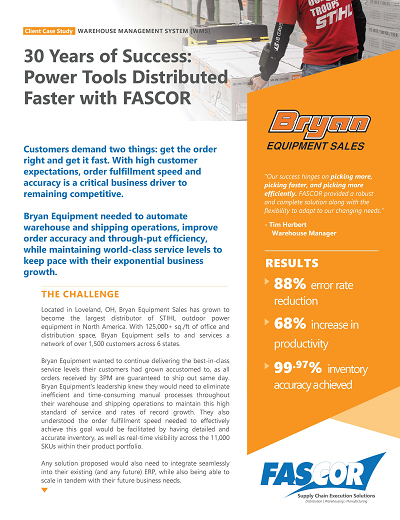 "Having dealt with some of the biggest WMS vendors in the USA makes me appreciate the personal attention that is available working with FASCOR. We’ve had nearly no downtime in my 19+ years of working with FASCOR. The accuracy of our inventory is improved since the installation of the FASCOR WMS, and the ease of use and training of new people to the system is a time-savings "